So after a lot of deliberation and contemplation I decided to do the big move. Become self-hosted, buy my domain name and move over to WordPress. When I initially started the move, I found navigating around WordPress confusing because I was not sure about being self-hosted and all the other bits and pieces that I had to do. I have also been looking at my blog and what I want it to be about. At the moment, it is very much a “lifestyle” blog because it dables on about everything. Moving forward, I want to focus on 3 elements: Travel, Advice/Motivation and AshleeMo Events. Who knows though… I could change my mind and want to continue on the path that I am on now where I just write about what and how I feel. I have also thought about my career prospects and as I will be graduating soon (God willing), I have been thinking about the way my blog will grow and whether it’ll be relevant or not to what I do as a career. The idea of full-time blogging is definitely something that I have started to really be interested in recently, who knows.. at the moment its my little space on the internet and I am really proud of it. 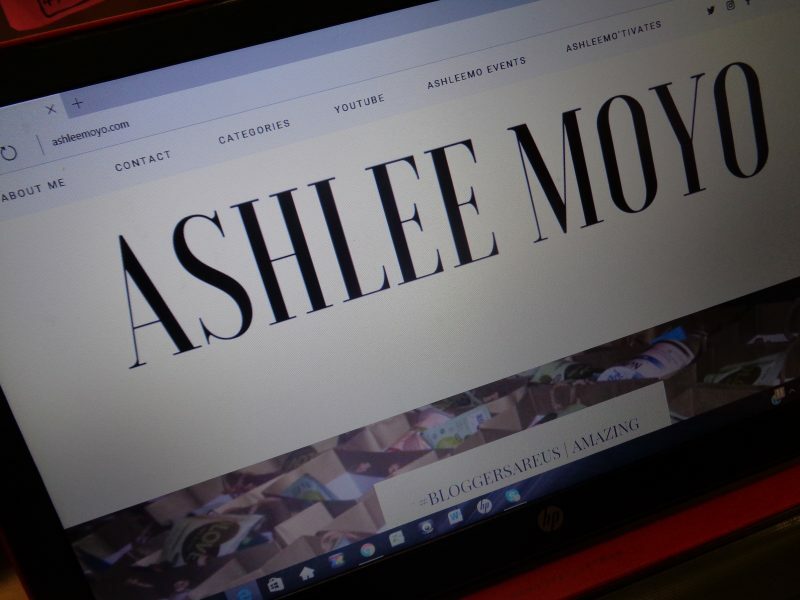 I am really proud to be “ashleemoyo.com”. It gives my blog a sense of professionalism and also it’s something that I did all by myself. I also just love the sound of it and I feel it’ll look pretty good on my business cards. I am excited about the plans I have for 2017 and where my blog will take me. Next Post HONESTY IS THE BEST POLICY? OR IS IT? Yaaaay! We love it and we’re so happy for you! Welcome to self-hosting! It does make you feel so much more professional doesn’t it? Can’t wait to see what you have in store for us!